The Horizon LS780T treadmill is a budget design with big features. It has a power incline, as well as the patented ADR2 cushioning, which is designed to Absorb, Disperse, and Respond to your foot strikes on the deck. It’s an incredibly smooth treadmill that sells for well under $1,000. The Horizon LS780T treadmill comes with a MyView customizable display so you can choose what you want on the readout screen during your exercise. Of the nine programs, you first select from three Goal workouts (Time, Distance, or Calories), and combine your choice with a Terrain workout (Manual, Intervals, or FootHills). UPDATE: The Horizon LS780T has been discontinued and is no longer for sale. Take a look at the latest available models to find a comparable model. 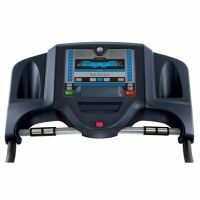 While the Horizon LS780T has a shorter tread belt and a lighter user weight limit than some competitors models, those minor issues aren’t enough to dismiss this treadmill. Experts find the motor to be strong enough for walking or light jogging. They have also found the noise level is surprisingly quiet, the machine’s reliability, durability, and quality rank well, and the cushioning is a standout feature. Overall, the Horizon LS780T offers decent value for the budget price. This model has gotten a lot of positive reviews and feedback from satisfied customers. It is quick and easy to set up, the controls are simple to program, it’s sturdy without a lot of wobble, and the belt and deck feel smooth for walking or light jogging. They feel the Horizon LS780T holds up to every day use and say that it is quiet enough that the user can hear a TV from across the room. It doesn’t come with extras such as a fan or speakers and an MP3 port, but those are small issues. 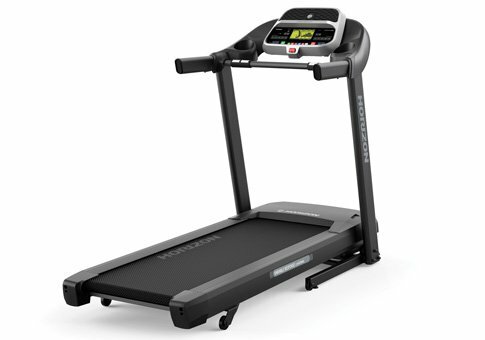 The Horizon LS780T is an amazing little treadmill for $700! Proforms are Horizon’s nearest competitor in the budget model range and it’s a toss up as to which you will like better. Proforms are still better in quality and value at this price level but the Horizons are coming on strong. 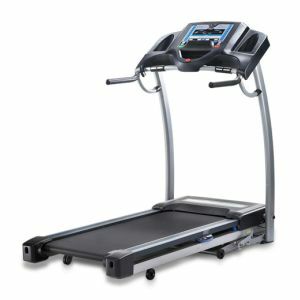 If you can go as high as $899, we recommend you look at the Horizon GS1040T, yet for $699, the Horizon LS780T treadmill still rates a Good Buy.